Model QES1510-055 10.4 In LCD replaces VITEC 12H94LAA, 12 In Color CRT Display used in Allen Bradley 9 Series Control. 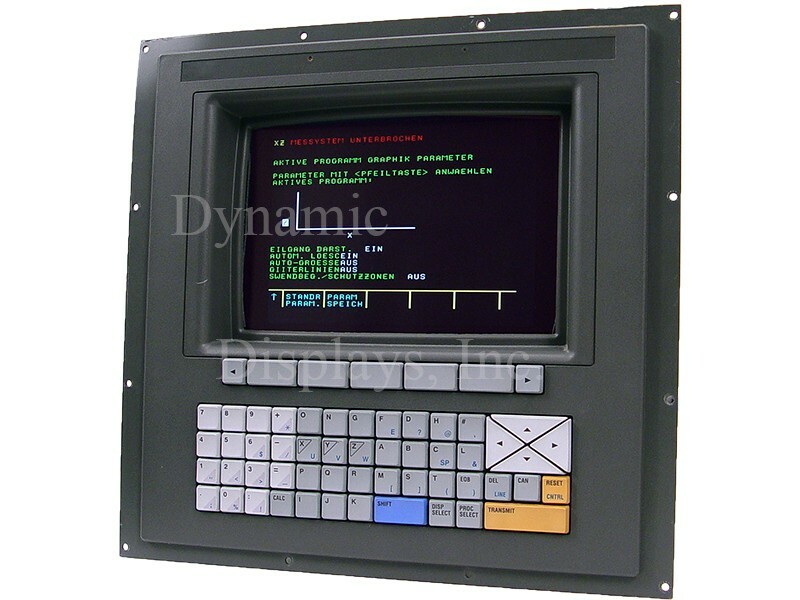 Dynamic Display’s QES1510-055 is a 10.4 inch LCD monitor designed to be a drop-in retrofit display for the Allen Bradley 12-inch CRT Monitor, VITEC Model 12H94LAA. The QES1510-055 Allen Bradley Retrofit Monitor has been optimized to operate on these and other legacy systems. 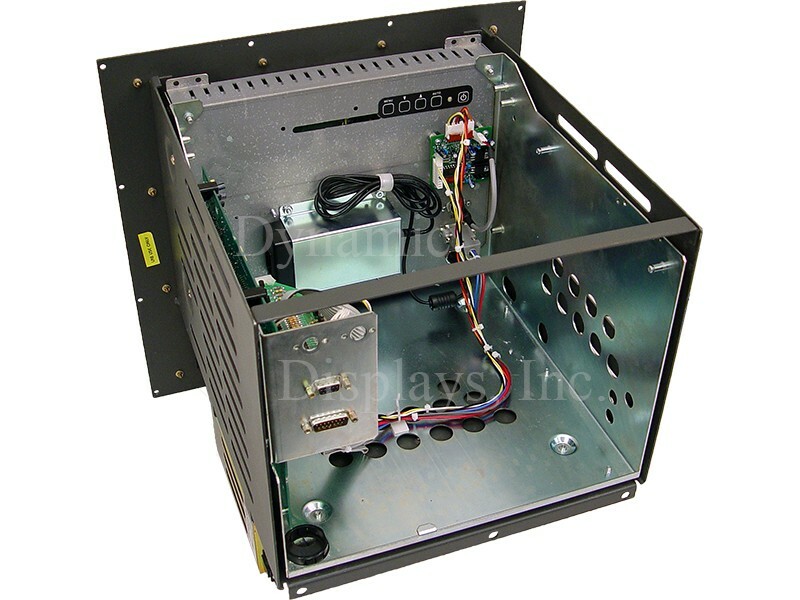 We’ve designed its rugged, steel chassis to mount into the original 12-inch CRT mounting holes of the Allen Bradley model 8520 CRTC Color CRT Monitor (Catalog # 8520-CRTC) used in Allen Bradley’s 9/230, 9/260, 9/290 & 9/440 CNC Series Machine systems, making it unnecessary to replace the original chassis. The video input of the QES1510-055 Allen Bradley retrofit monitor accepts the Differential TTL and/or ECL video signals from the original Allen Bradley 9 Series CNC Machine system with no need for signal adapters of any sort. 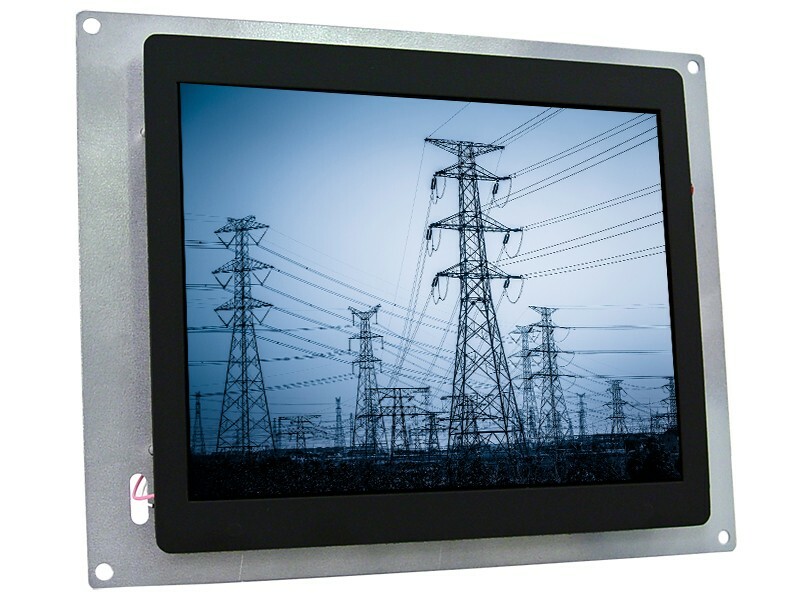 This high-grade 12.1” Industrial LCD Monitor features a native resolution of 800 x 600, contrast ratio of 500:1, brightness of 250cd/m2, for improved visual performance. Not only do these Retrofit Allen Bradley Monitors offer more reliability and better performance than the older 12” Color CRT Monitor, the 15KHz through 68Khz operation and other standard features, such as multi-language on-screen display, DDC1/2B Plug and Play, and wide viewing angle, make this versatile LCD monitor an excellent choice for many modern industrial legacy display systems as well as your next Allen Bradley Monitor Replacement, which means your next control system upgrade will be easier and less expensive.